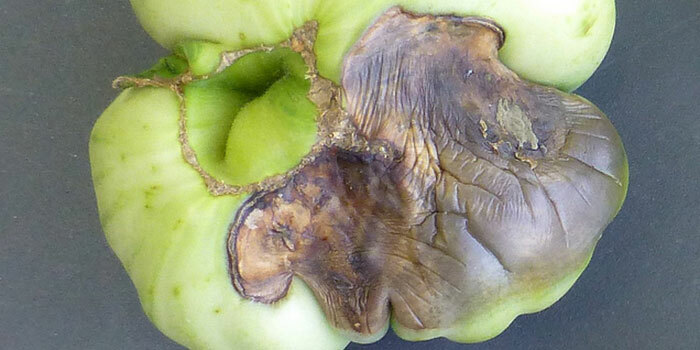 Squash, cucumbers, peppers, and tomatoes can develop blossom end rot. Calcium imbalance in plants causes water-soaked spots to form on bottom of crops that turn brown and harden. 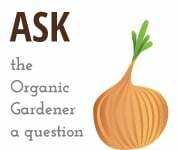 The lack of calcium intake may be caused by a number of issues, including large fluctuations in soil moisture, excessively wet or dry soil, excessive nitrogen fertilizer, or soil pH that is too high or too low. Calcium in soil needs other micronutrients to move around; having an overall healthy soil minimizes imbalances. Mulch to maintain soil moisture; after first round of fruit, this may self-correct. Perform a soil test in fall after the growing season to determine if your soil is well-balanced. If there are deficiencies or excesses, more research will be required to determine the best remedy. 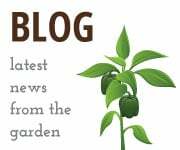 Various online sources or the University of Illinois Extension Office may be able to help interpret and address soil needs. In general, the application of good quality compost, vermicompost (worm castings), and compost tea application can help correct soil issues. Catfacing is a tomato disorder that causes crops to become distorted with bands of tan or gray scar tissue running across the surface. Scar tissue is often at the blossom end. It occurs when cold weather (below 55 degrees Fahrenheit), hot weather (above 85 degrees Fahrenheit), or drought interferes with flower and fruit development. Catfacing is a sign that micronutrients are not in balance due to various issues. Rule out irrigation issues. 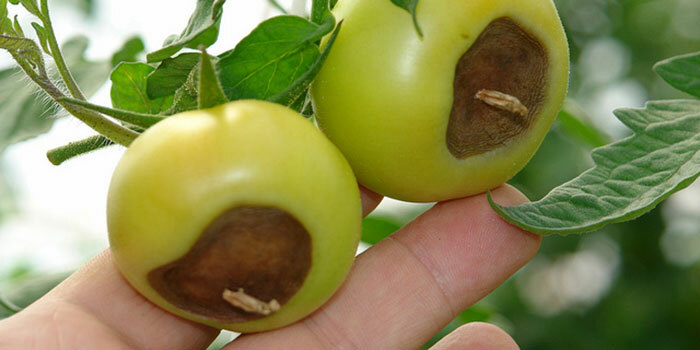 Harvest crops with new growth cracks so blossom end rot will not set (see also blossom end rot). This could take several seasons to correct. 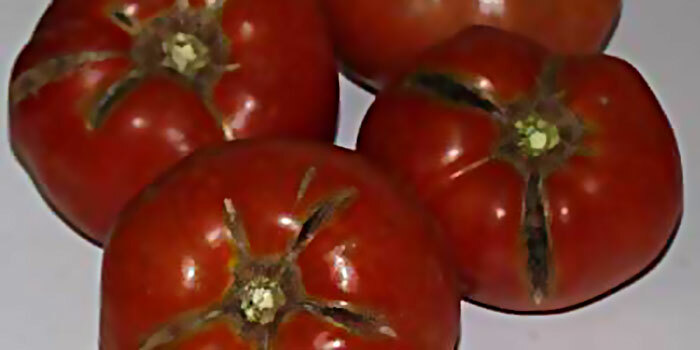 Growth cracks in a tomato’s skin may be radial or concentric. Rot may set in at the cracks, or they may heal over with corky, brown tissue. 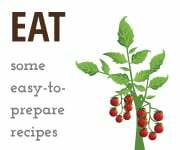 Beans, cucumbers, squash, and peas can develop powdery mildew. 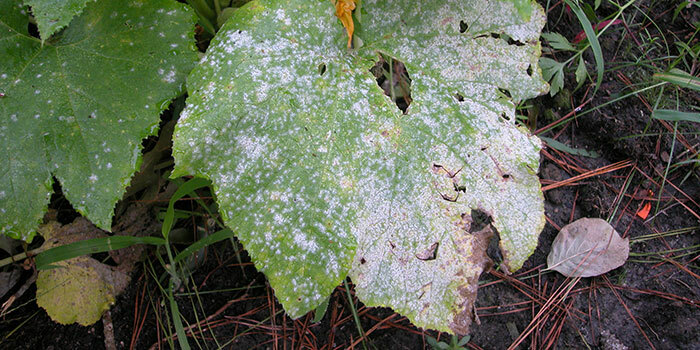 Powdery white mildew covers the surface of leaves and eventually causes the leaves to yellow and dry out. Older leaves are infected first. The mildew competes with the plant for nutrients and reduces crop yields. Plants sometimes die if the problem is so advanced that the mildew interferes with the plant’s ability to photosynthesize. Avoid watering leaves when hand-watering. Remove badly infected leaves. Apply GreenCure as a root drench or a foliar spray as a preventative.